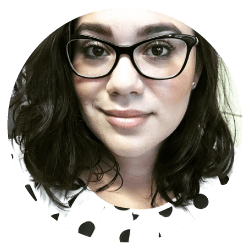 This blog was authored by Sarah Diamond, Lead Prevention & Community Engagement Specialist at the Center for Community Solutions. During my interview to work at the Center for Community Solutions (CCS), my to-be-supervisor shared that they worked with youth in detention and asked if that was something I’d be interested in doing if I was hired on. At first, it felt somewhat daunting to think that I’d be going into a juvenile hall. I don’t think I held negative views of youth in detention, but I also was unsure of what to expect from them. It ultimately sold me on the position. 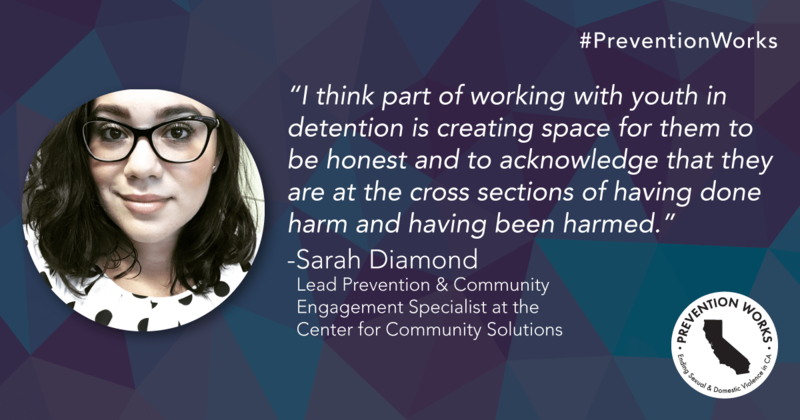 The first time I was in a detention center, it was to observe my coworker, and I knew from then on that I was invested in making sure these youth had access to violence prevention education. The way my coworker was able to have real conversations with them was inspiring, and it made me realize how truly important it is to meet youth where they are at. That conversation shifted my way of thinking and working with this population. Together, we worked on how to show compassion towards our partners and how to still be a man without compromising masculinity. This is an ongoing theme in my classes. I have accepted their need to survive in this world and I hold them accountable when appropriate, but I also find they are more open to these conversations when they see they can take the mask off, so to speak, with their partners and show a different side of themselves. I never know how that really unfolds once they’re out, but I will say that students have told me over the years that my class makes them think—and they have conversations with each other outside of class. I’d like to think it’s planting seeds. Sometimes it’s a small change, other times it’s larger, but I can see that it impacts them in some way.